Credit unions were founded on the philosophy of "People Helping People". At Travis Credit Union, we embrace principles that promote human development, and look for ways to fulfill social responsibilities. Offering scholarships to deserving high school seniors is just one way we are assisting our young members with the rising cost of higher education, while reinforcing our commitment to the financial success of our country's future leaders. 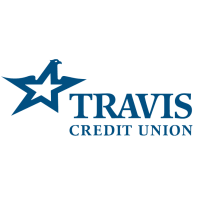 Travis Credit Union is proud to sponsor the Mary Ketih Duff Memorial Scholarship Program for graduating high school seniors who are members of the credit union. Through the program, we annual award twenty $2,000 scholarships to deserving seniors who have chosen to continue their education in the fall of their graduation year. Please find attached a flyer for you to share with any soon-to-be graduates you know who have demonstrated exemplary commitment to their education and community. To learn more, contact Dawn Irvine, Corporate Relations Specialist, at dirvine@traviscu.org, or (707) 469-1076.